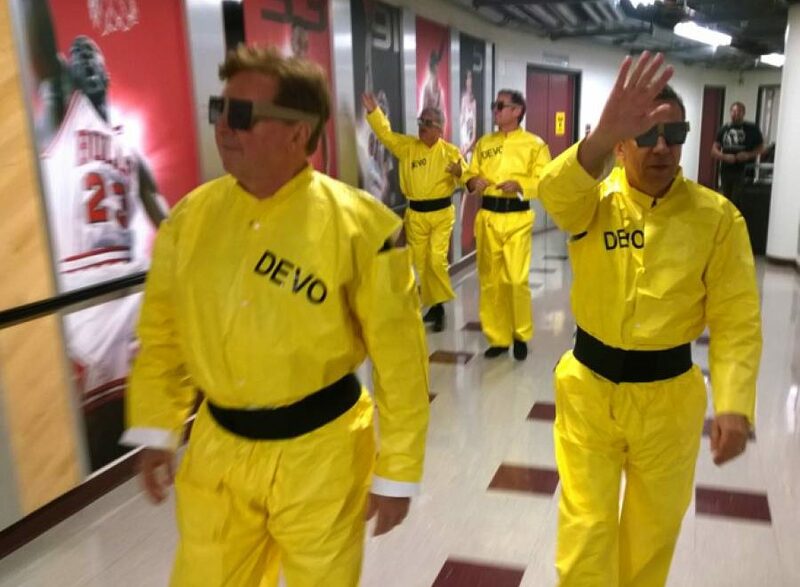 DEVO walks to Arcade Fire’s dressing room to snap a quick photo before they go onstage at United Center in Chicago, IL – Aug. 27th, 2014. 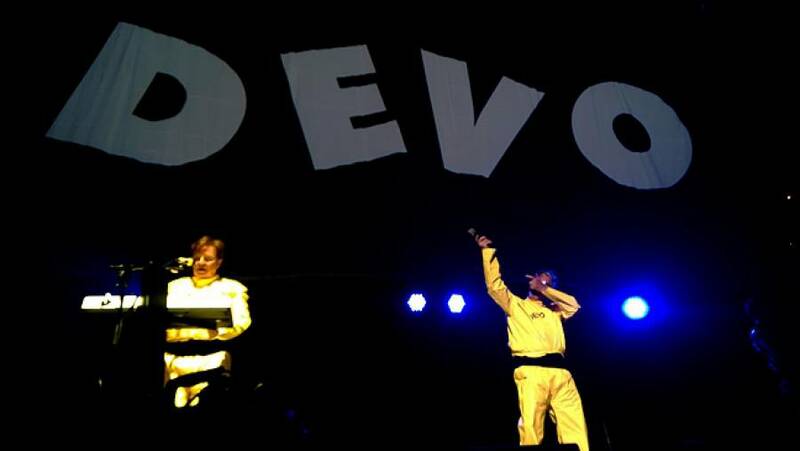 Photo by Michael Pilmer/Devo-Obsesso. 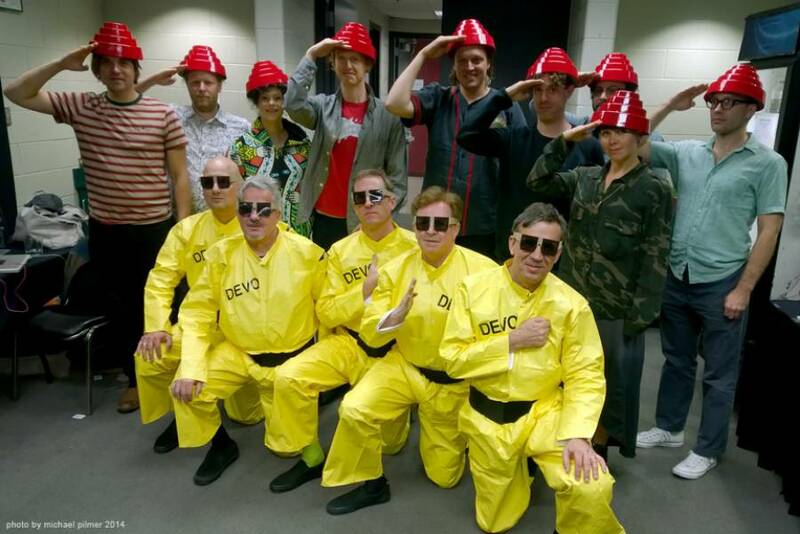 DEVO and Arcade Fire posed for a photo backstage just before DEVO’s performance at United Center in Chicago, IL – Aug. 27th, 2014. Photo by Michael Pilmer/Devo-Obsesso. 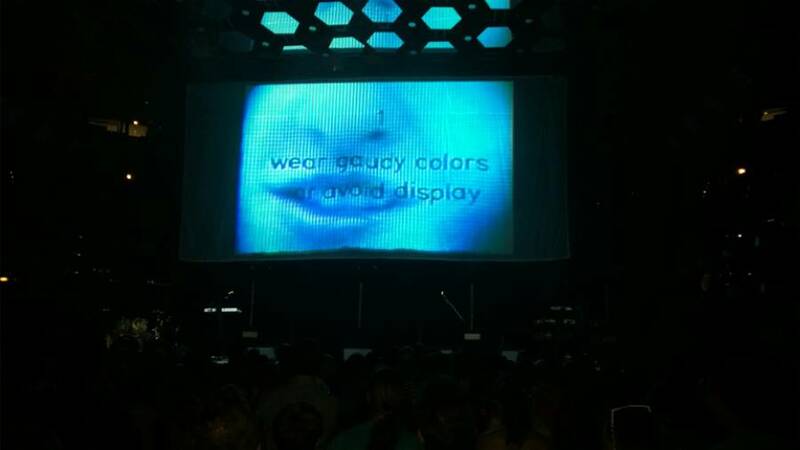 DEVO’s intro film at United Center in Chicago, IL – Aug. 27th, 2014. Photo by Michael Pilmer/Devo-Obsesso. 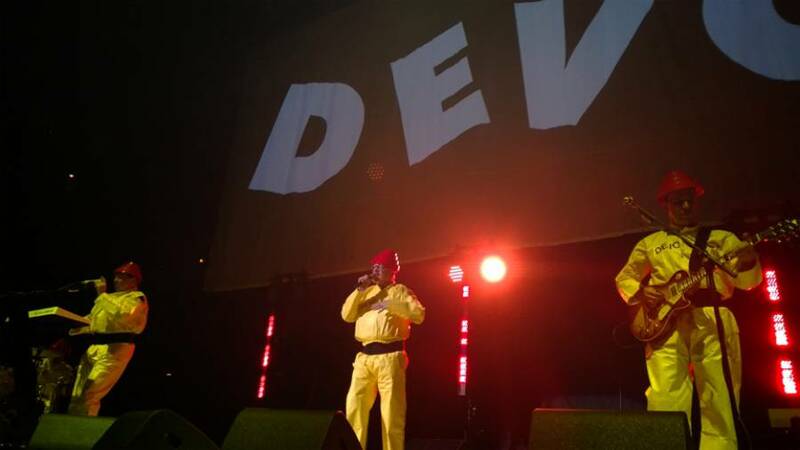 DEVO performs “That’s Good” at United Center in Chicago, IL – Aug. 27th, 2014. 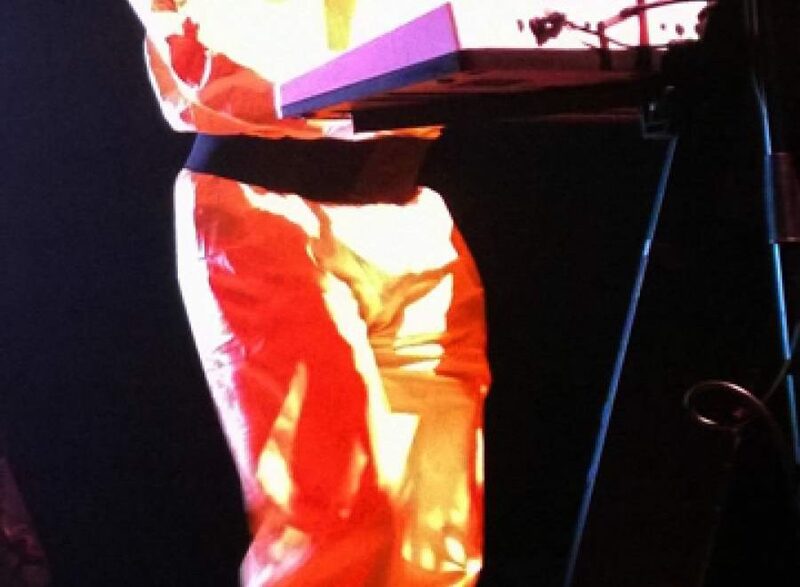 Photo by Michael Pilmer/Devo-Obsesso. 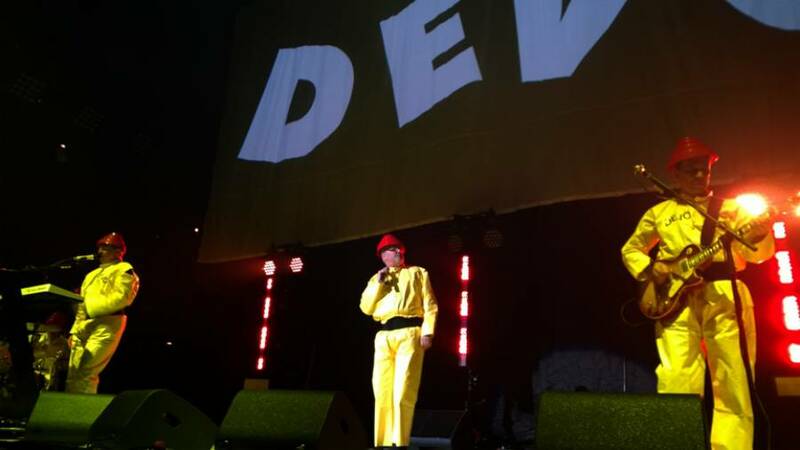 DEVO performs at United Center in Chicago, IL – Aug. 27th, 2014. 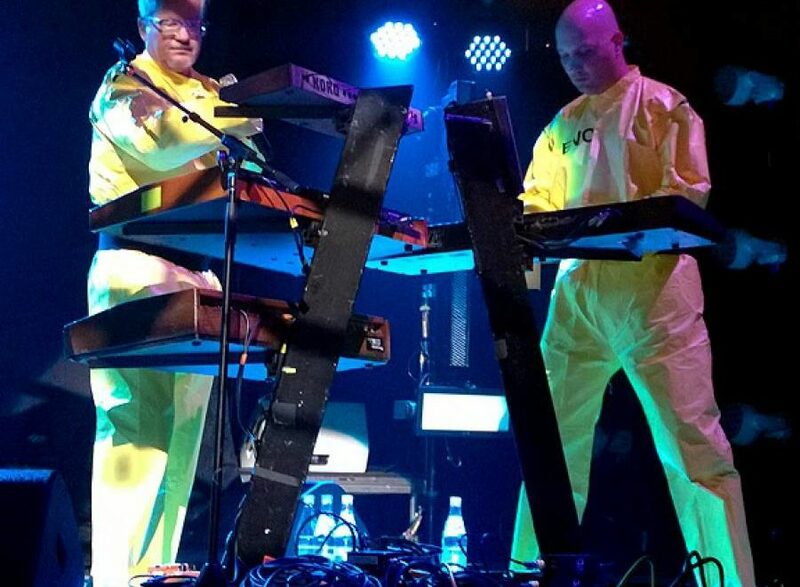 Photo by Michael Pilmer/Devo-Obsesso. 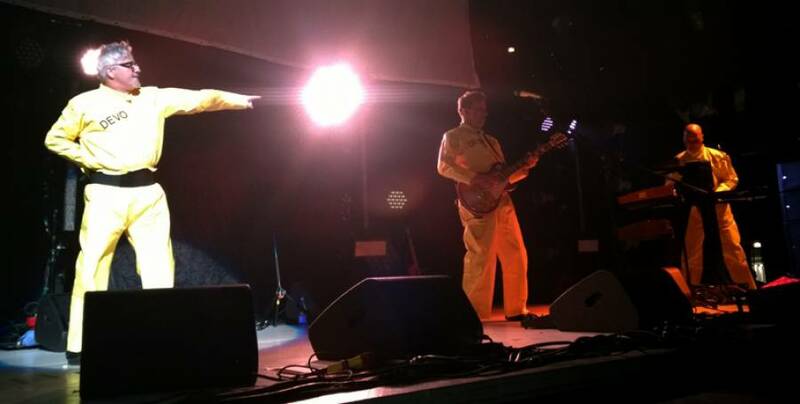 Josh2 (aka Josh Hager) performs “Whip It” with DEVO at United Center in Chicago, IL – Aug. 27th, 2014. 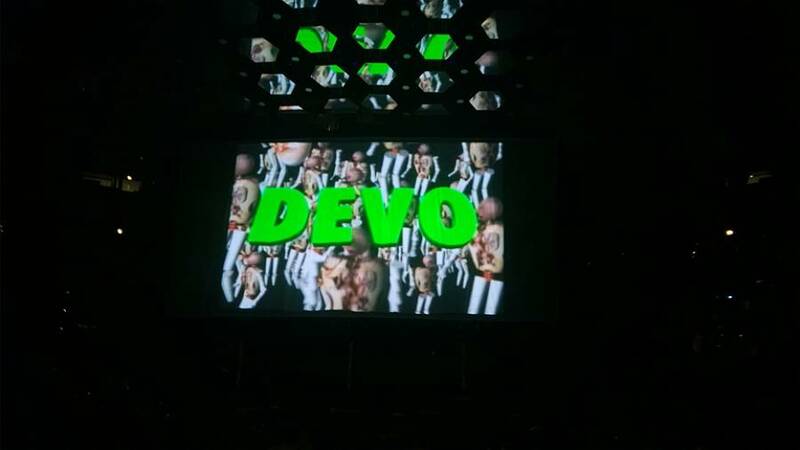 Photo by Michael Pilmer/Devo-Obsesso. 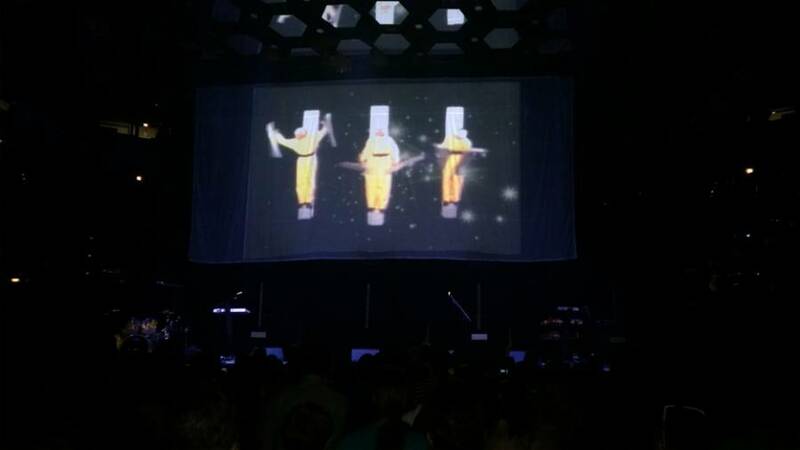 DEVO performs “Whip It” at United Center in Chicago, IL – Aug. 27th, 2014. Photo by Michael Pilmer/Devo-Obsesso. 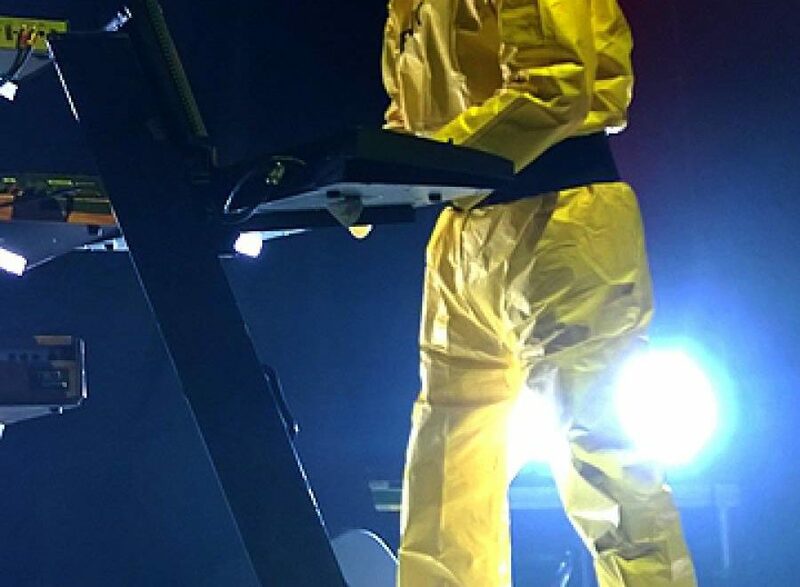 Jerry Casale on bass synth with DEVO at United Center in Chicago, IL – Aug. 27th, 2014. Photo by Michael Pilmer/Devo-Obsesso. 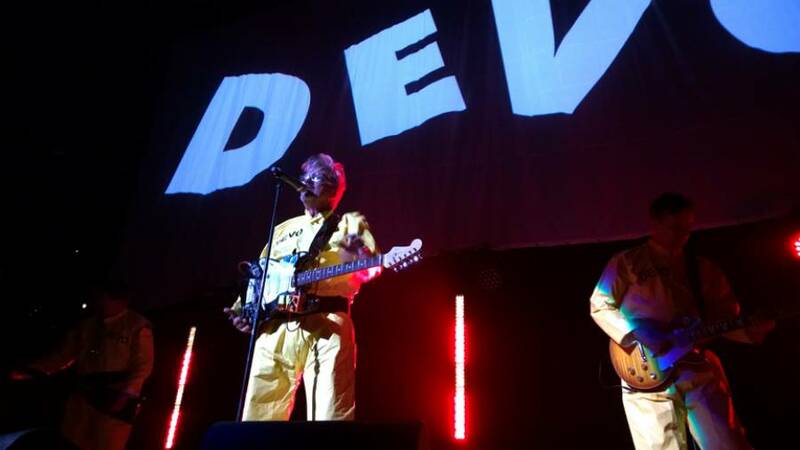 Mark & Josh2 with DEVO at United Center in Chicago, IL – Aug. 27th, 2014. Photo by Michael Pilmer/Devo-Obsesso. 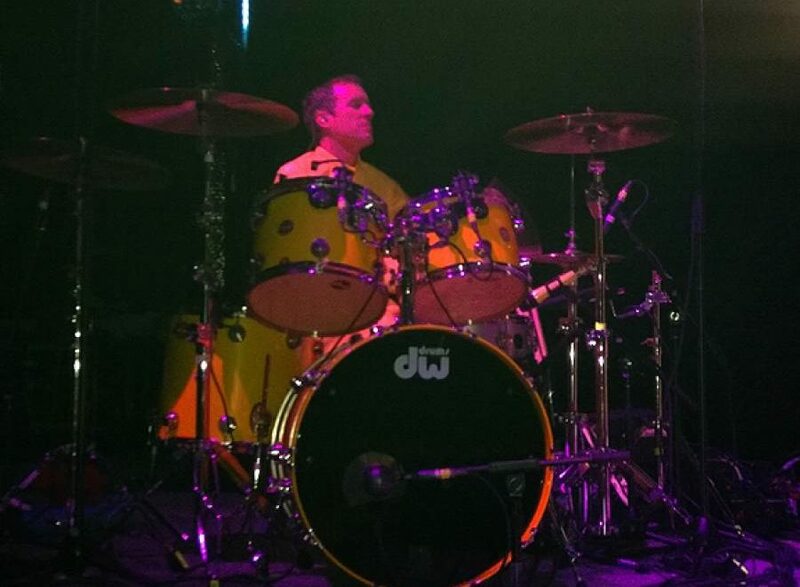 Josh Freese on drums with DEVO at United Center in Chicago, IL – Aug. 27th, 2014. Photo by Michael Pilmer/Devo-Obsesso. 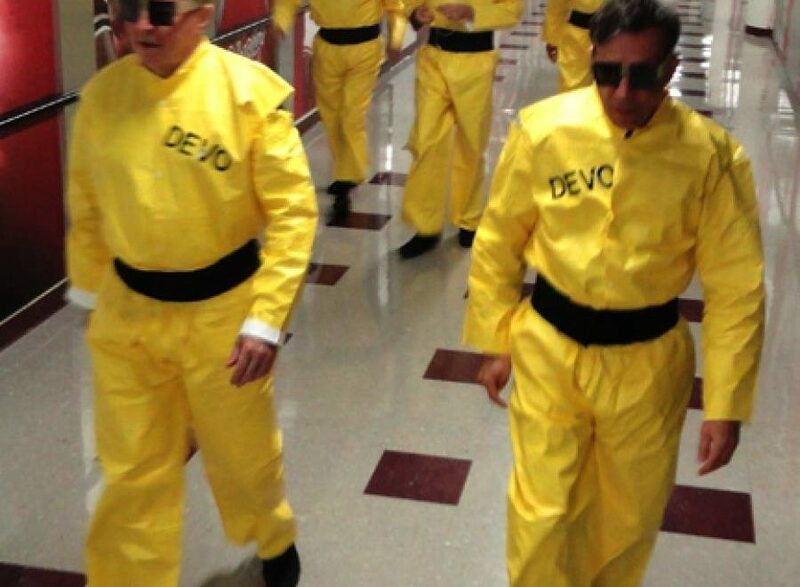 DEVO performs “Satisfaction” at United Center in Chicago, IL – Aug. 27th, 2014. Photo by Michael Pilmer/Devo-Obsesso.